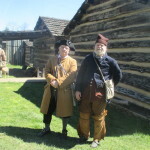 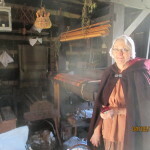 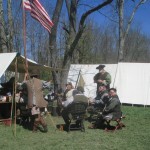 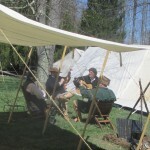 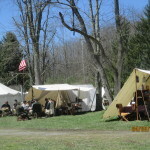 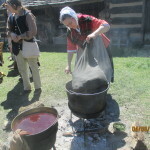 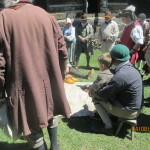 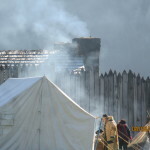 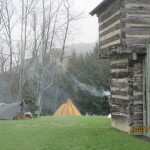 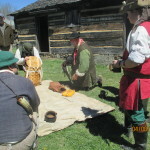 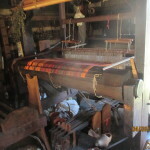 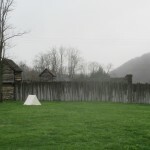 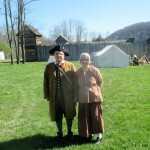 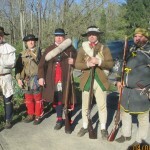 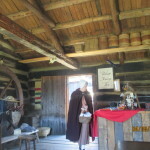 April brings showers and on April 6-8 of this year, it also brought the School of the Longhunter which takes place at Prickett’s Fort near Fairmont, WV on an annual basis. 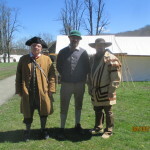 This encampment/symposium is an interesting and informative event with a lot to offer for the Colonial era reenactor/living historian. 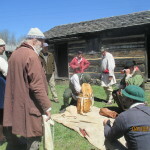 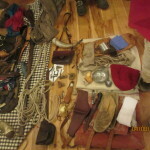 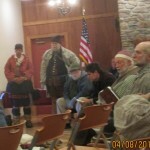 This year’s presentations included talks on winter gear and snowwalker bushcraft; Fort Pitt: Trade Goods on the Frontier: tracking; Mess Companies of the Frontier: preparing for action and pack inspection; Unwanted Markings; Necessary Paperwork: papers carried on the frontier; a natural dye workshop; and a round robin trade and barter session. 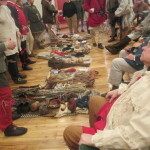 On Saturday evening, there was a dinner, and a benefit auction of period goods to benefit the park took place.